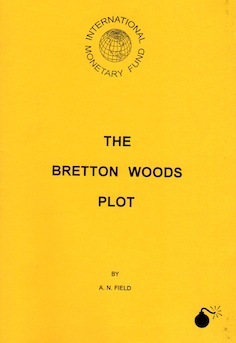 When the guns began to roar in Normandy the allied nations were summoned to Bretton Woods to learn what was required of them in monetary matters. They were presented with a long and complicated agreement, and so drafted that it was extremely difficult* to arrive at a full understanding of it. The terms of this agreement have proved so onerous in practice that most of the 58 countries ratifying it are in default on their full obligations under it and can be called to account at any time, in which event the majority of them would be bankrupt. A member shall not propose a change in the par value of its currency except to correct a fundamental disequilibrium. A change in the par value of a member’s currency may be made only on the proposal of the member and only after the consultation with the Fund.